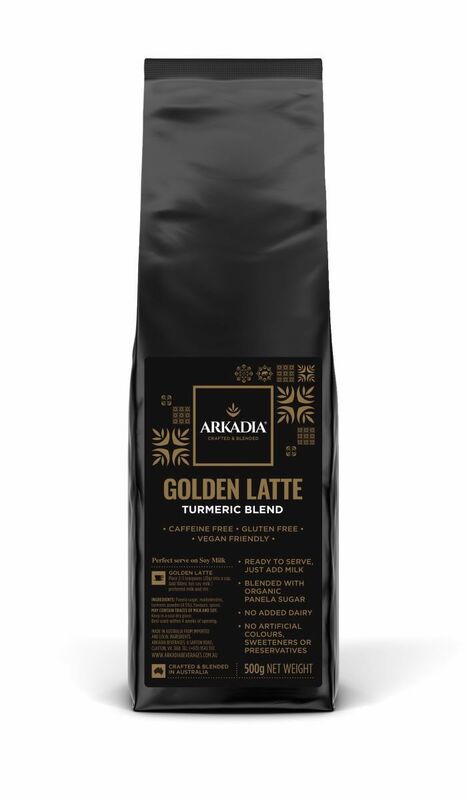 Arkadia Golden Latte is a perfectly balanced blend of turmeric, spices and organic panela sugar, this golden beauty is fast becoming the preferred choice for people looking for a caffeine free, gluten free, vegan friendly morning pick-me-up. 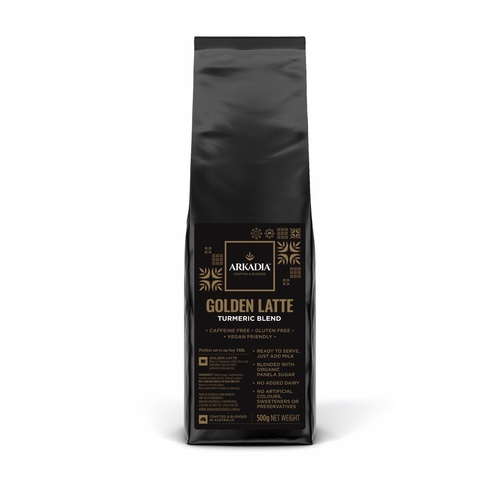 Panela sugar, maltodextrin, turmeric powder (4.5%), flavours, spices. May contains traces of Milk and Soy.